He was only thirty five years of age at the time. But, his reputation for justice, impartiality and truthfulness was far and wide. He was widely known as Al Amin; the trustworthy. His real name was Mohammed, and five years later, after the incident I’ll tell in a second, he would embark on a mission that has become a watershed moment in human history. This is the man who came to be known as the Prophet of Islam. Mecca, prior to the advent of Islam was known as Um al Qura; mother of all villages, because it was the center of commerce, religious pilgrimages and culture that beautifully expressed itself in poetry that can’t be matched anywhere. The Kaaba was the religious center that housed more than three hundred shrines, but, nothing was more important than the Blackstone. The Kaaba according to Islam was built by no other than the first man himself; Adam, and it was rebuilt by Abraham and his son Ishamel. The story goes that the Kaaba was dislodged due to some weather severity. There were nine prominent groups in Mecca and each one wanted to be the one that would place the Blackstone in its original rightful place. Each group knew the prestige and power that would come by being the sole guardian and custodian of the Blackstone. Infighting and rivalry ensued among the groups and eventually, to avoid worse conflict, all the groups agreed to seek the judicious counsel of the thirty five years old Mohammed. Al Amin asked for a carpet to be laid on the ground and for the Blackstone to be placed on it. He then requested each group to assign one member to come forward. The nine men, representing each group were then asked to carry the Blackstone and place it in its original and rightful place. Al Amin assured each group equal stake and ownership and peace reigned among all the groups. Eritrea is our Black Stone. 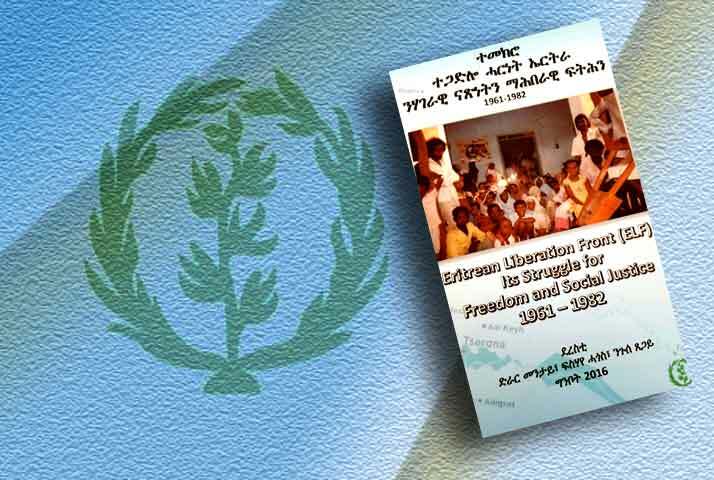 Eighteen years ago, the victorious EPLF and the transitional government of Eritrea had a golden opportunity to bring all of Eritreans together and consolidate our unity. Each ethnic, religious, regional, political and gender group should have been granted the right to have equal ownership and stake of the country. The colossus waste of that opportunity is the source of our present predicament. I’m constantly amazed by the wisdom of our ancestors and today, I hope to make some use of it. I’ll try and I hope it works. Ymessleley. “Arkom kesenyu bet firdi ykedu: m’enti Haqi gn ymskru.” They go to court to accompany their friends, but, they bear witness to the truth. I’m a Christian; a tewahdo; and a highlander from the heart of Hamasen. I’m rooted in its glorious traditions, but, I’m not limited by it. I mention this for the benefit of openness and identification, but, I don’t speak as a Christian or a highlander. Most of all, I don’t represent any group or speak for any group. I want to bear testimony to the truth as I see it and I bear full responsibility for my views. I read all the articles brother Ali Salim has written over the past few months. I applaud his courage, but, I’m saddened by the agonizing pain I sense in his tone. Ali seems angry, disappointed and feels betrayed by his own kith and kin. It is important that we take a pause and ask ourselves why Ali feels this way and what lead him to feel this way. Ali’s story is no different than the many stories I’ve heard over the years. Since Ali has courageously elected to be the voice of the people of the lowland, I’m going to use his name to illustrate a point. I’m sure brother Ali would not mind me doing so. Ali’s father was one of the pioneers of the armed struggle. He was a hero who made the ultimate sacrifice for his people and country. As a kid, Ali received from his martyred father a post-dated check, with specific instruction, to cash it in free and independent Eritrea. The check was written in Arabic. The situation in the lowland got worse; the Ethiopian army was indiscriminately killing people and burning villages; the young Ali had to flee his country of birth and seek refugee in the Sudan. Ali was one among the lucky few who had the good fortune of receiving a good education and grew up to be a matured and articulate young man. After Eritrea’s independence, Ali returned to Eritrea to cash his post-dated check at the newly established Bank of Eritrea. The banker told him that they do not accept checks written in Arabic. Ali was dumfounded, dismayed, but, yet not broken. Ali went to his only uncle who serves in one of those token and symbolic positions that are usually doled out to give the impression of ethnic representation. 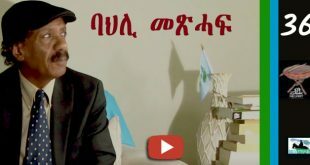 His uncle reprimanded him for not carrying a check written in Tigrinya. His uncle, pressured by family members, intervened, using his own personal contacts and the bank agreed to accept the check. Ali was eagerly waiting to collect his money, but, to make matters worse, he received a notice of NSF; not sufficient funds. Life in Eritrea became hard for Ali. He prayed for patience. 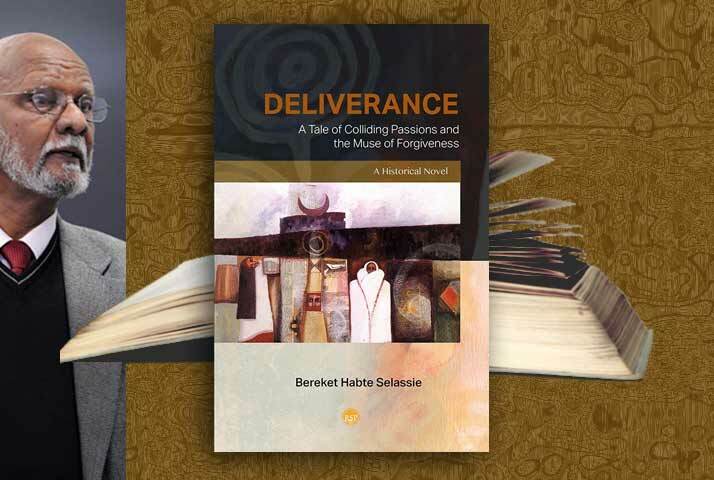 From early on, he had found great solace and comfort in his trust of God. It was only his faith in God that enabled him to bear the hardship of life in the refugee camps of Sudan. The frustration and disappointments, he experienced upon returning home, naturally led him to seek more solace and comfort in his God. He read the Quran, the Haddith, frequented the mosques and followed the Suna. He grew the typical beard, wore the “Imamet,” and “Jelabiya,” and that had made him a prime suspect of someone harboring Jihadist sentiments. Ali started seeing some of his brethren disappearing and decided; for the second time, to flee his country and seek refugee somewhere. Ali was hoping for the constitution to be his “Blackstone” moment, but, upon careful reading of its contents, he came to realize that the much-hoped-for constitution would not honor the promissory notes written in Arabic. Once in exile, he tried to join the opposition groups. He was, however, deeply disturbed by the deafening silence and callous indifference by people who should have known better. Ali wanted to talk about his un-cashed check, but, he was told that this was not Eritrea’s priority. Ali argued that the un-cashed check was not only the last wish of his dying father but the reason he died for in the first place. He was pushed aside as someone who does not understand the big picture, national priorities, but, as someone consumed with narrow and parochial interests. Ali began feeling like he is caught between a hard rock and the deep blue sea. 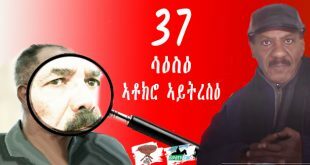 He tried to reason with the opposition that he is willing to defer cashing his check if they would be willing to make some provisions that would guarantee him the cashing of his check in post PFDJ Eritrea. He was categorically and unambiguously told that no provisions of preferential treatments should be made. Ali is losing hope, but, what keeps him going is the dream of one day returning to his ancestral land. Lately, that dream has been dashed away. The land of his ancestors is being settled by his distant relatives from the highland. Ali realizes the significance of this event. If he loses his land he will lose everything- including the dream that has sustained him in his exile. This could be the beginning of an end. This is where he needs to draw the line and continue the long tradition of lowland defiance. Ali knows full well that in a generation or two, it would be impractical, unjust and unwise to uproot the highland children that would be born there and call the lowland their ancestral home. This is how he imagines the dreadful and horrifying scenario of the never-ending Israeli-Palestinian conflict. Ali is fed up. He has lost his patience. He wanted to scream over his lungs. He has been fooled twice and the shame is real. I want to embrace him. I want to hug him, tell him that I understand his frustration and that I feel his pain. I want him to know that I’m on the side of justice. I want to assure him, in no uncertain terms, that I do not want to be part of a nation where my brother Ali feels less than my equal. Ali is not alone in this. His struggle for justice is my struggle too. Ali’s problem is my problem and the solution has to come from both of us. We’re all in this together. This is the Eritrean way, or, this is how it should be. “Ab lEli lbKa inte zmEduka: ab lEli genzebka inte zwsKuka” May you receive more advice and money on top of your wisdom and wealth. I’ve done a lot of sales work over the years and one of the most basic principles of sales is ABC- always be closing. In sales, as in any human endeavor, the ultimate goal is to seal the deal. But, the key is to realize that closing starts with the first interaction. When you try to set the tone, build rapport, present products, explain features and benefits, and finally asking for business and processing the transaction. I’m amazed how effective I get when I assume the consultative role. People don’t want to be sold, but, that is exactly what I do. Similarly, in politics and nation-building, we need ABR- always be reconciling- a point brother Mohammed Ahmed seems to thrive on. My sales managers have always instructed me to assume the deal and approach the sale from that mind-set, and that makes a world of a difference. 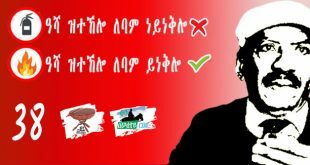 We say in Tigrinya, “aminu zmagot zretAo yeblun.” Put your trust in good people, make your case and you’ll never loose. In politics as in any worthy endeavor, the more friends you’ve the better. You don’t want to unnecessarily antagonize people and make enemies of them. The rude-awakening approach sometimes works, but, you don’t want to over-use it. Today, more than any other time in our history, you need the highlanders to be on your side as much as the highlanders need you to be on their side. We’ve come a long way and there is no turning back. We’ll make it together or fail together. Failure is, of course, not an option. For all intents and purposes, Mohammed Ahmed is airing the same grievances and making similar arguments, but, he does it in a way that is more subtle, tactful; but; most of all; deferential to the other side. One gets the impression that he is looking out for all of us and cares deeply about the possible outcomes. Mohammed Ahmed advocates rapprochement and reconciliation and is unambiguously against any kind of polarization. The ‘Just Debate Doctrine’ requires that you make a distinction between combatants and non-combatants. There is no justification, what-so-ever, in categorically vilifying the highland. 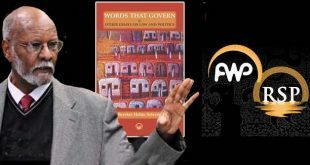 Ali Salim’s biggest contribution is perhaps his embrace of what he calls, “frank straight talk.” In his “world of new born Eritreans” openness is the norm and sunshine is the best disinfectant. The good, the bad and the ugly deserve and need to be part of our public discourse and for that I commend him highly. But that is where our agreement begins and ends. We should never be afraid to debate any idea, but, we should never debate out of fear and that is exactly what Ali seems to say or imply. The explicit and implicit threats of Armageddon are supposed to elicit willingness in highlanders; and compel them to cave in; to engage in a kind of debate he has prescribed. A debate that will primarily focus on bargaining power at the exclusion of other perennial concerns; that should be given front-row seats in the political life of our entire community. We’ve seen that kind of politics before and we should not fall for it. It only serves the interests of the few that self-appoint themselves as custodians and guardians of their respective constituencies. It seems that Ali would be happy with a reductionist approach to politics, one that would primarily determine who gets what and how much. But, I tell you that is a sure way to polarize a society and not a way to bring them together. The MAD (mutually assured destruction) policy of the cold war era is neither desirable nor applicable to Eritrea. Eritrea must be more than the aggregate sum of its various constituents’ competing and divergent interests. The essence of the harmonious coexistence between the lowland and the highlands must not be based on the fear and the ability (parity) of annihilating each other, but, one of shared interests, aspirations and commonalities that have withstood the test of time and do justice to the enormous shared sacrifices we have made as one people. Eritrea is not in any particular threat of balkanization. There is no deeply rooted hatred among the various segments of our society. If ‘shiftas’ are to be taken as sources of grievances, then, the lowland has to lead the way by correcting past wrongs among its various tribes and ethnic groups. According to Ali, the lowland is good in starting things. Perhaps, this is a good start. But, I say there is no need for that. Beneath the layer of forcefully imposed façade of polarization, the traditional values of tolerance, mutual respect and harmonious coexistence are still intact and ready to come back with a vengeance as soon as we start challenging the evil regime with a sense of purpose and a sense of urgency. Ali has repeatedly called upon us—particularly highlanders—to see ourselves in the mirror. I don’t think that is unreasonable request and the country as a whole needs to do that. If Ali’s objective was to engage the highlanders, I’m sure he was not terribly impressed by most of his respondents, who; although were Christians, were not from the highland proper. I’m the poster child of the highland—a proud tewahdo from the heart of Hamasen, a province known for its ‘klete kremti.’ As a true Hamasen, “megbu gogo zereb’ou Hdego” (his diet is gogo and his attitude is hdego; to forget and forgive) I don’t harbor any ill feelings towards you or anybody else and I forgive you for any offense I might have taken from your articles, at least, that is the Hamasen way, or whatever is left of it. It would be helpful to ask ourselves of how the people of Hamasen managed to have ‘klete kremti’; one in the highland and another in the eastern lowland. One of the most enduring relationships in the history of our people is the one between the people of Hamasen and the people of Eastern lowland (this relatively applies to Akeleguzai too). This is the relationship the EPLF was smart enough to recognize, cultivate and take advantage of. As an Eritrean; and a highlander, I trace my intellectual and cultural pedigree to the three cities: Jerusalem, Axsum and Mecca. Our civilization is like a tripod with its three legs resting on the aforementioned three cities. It is the long chemistry among these three cities that has given us our unique identity. We are the product of this cultural fusion. Axum, simply happens to be the strongest link. 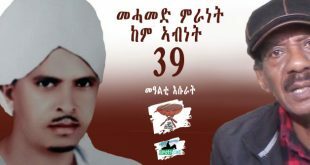 It is no coincidence that the greatest Eritrean entertainer; Bereket Mengisteab; a living legend, who recently celebrated his long music career of 50 years calls upon us, “nekid neaxum tarik kenqesm.” Let’s go to Axum to learn history. Axum is the most important pillar of our long and proud civilization and no Eritrean should apologize for it. Ali’s uncalled for comment on Axum reminds me of the Tigrinya saying, ”newah om gorebeta tezel’l, asha seb natu yeql’l.” A tall tree provides shade to its neighbor while a fool undermines his own. Axum with the other cities needs to be appreciated and cherished. Need we remind ourselves that the language the majority of people speak in the lowland is a direct descendant of an Axumite language and civilization? Perhaps, the highland is the most direct and most legitimate heir of Axum, but, this does not mean the lowland has to forfeit its rightful and historical claim. Let’s not forget that Islam has a much deeper root in the highland than anywhere else in Eritrea, for that matter; the entire Islamic world. The Jeberti highlanders (which Ali completely ignores. I wonder if it is because the Mustafa Nurhussiens, the Ali Abdus, the Saleh Mekis and many others that hail from this group) are some of the earliest converts to Islam and their role in establishing Islamic learning and institutions in Eritrean can’t be emphasized enough. I’ve a theory on the etymological root of the word Jeberti. 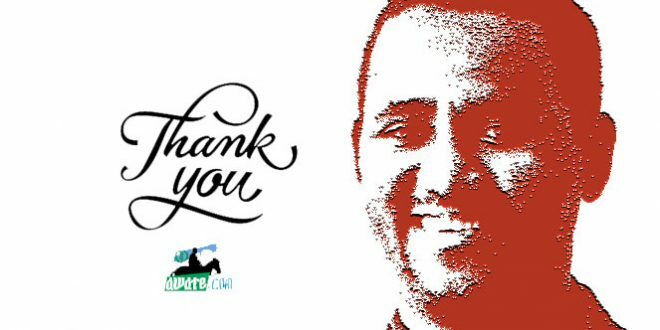 I brought this to the attention of my friend, Saleh Gadi, but, he was hesitant to give his endorsement. But, I will go ahead and share it anyhow. In the early Islamic era, there were two prominent schools of theological thought: one that subscribes to predetermination and the other to free will- Jabiriaya and Qadiriya respectively. The school that has the most influence in the highland is the Jabiriya school and I suspect that this word has given rise to the word Jeberti. With the exception of the few episodes of insignificant conflicts, the highland prides itself for its record of harmonious existence that can’t be matched anywhere else. There is a long and rich tradition of interfaith marriages, voluntary conversions and mutual respect. Many of Eritrea’s today Muslims were once Christians and there are many Christians with Muslim ancestry (Yours truly being one of them.) It is probably not a bad thing to mention that two of the Muhajireen (Muslim immigrants during the first hijra) who came to our land; a land of the just king and a Christian; converted to Christianity on their own volition. One of the most famous Muslims who converted to Christianity was no other than the cousin of the Prophet of Islam himself. I don’t take offense to that because when I see myself in the mirror that is what I see. 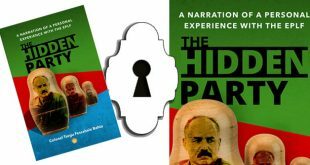 Yes, there is no difference between the Tigrinya speaking Tigrayans and the Tigrinya speaking highlanders of Eritrea, as there are no difference between the Hdareb and the Beni Amer of Barka and the Eastern province of Sudan. Having grown up in the Sudan, I can tell you that the Eritrean lowlanders didn’t fare better than their highland brothers. We were all habesh and khassa- refugees to be kept at bay. It should suffice to mention that my loyalty is to you; Ali; my fellow lowland Eritrean and not to my Tigrayan brother whose primary loyalty is to Ethiopia. If there is any doubt at all, the 98-00 border war should have made it abundantly clear to you and to everybody else. Ethnic, linguistic and cultural ties across national borders is the norm and not the exception in Africa, and Eritrea is no different, but the idea of a nation-state; regardless of its historical evolution; whether it was imposed on us or not; is a reality that can’t be ignored and one that can’t be easily altered. Ali points out; and rightfully so; that our political life and discourse suffers from hypocrisy. We are munafiqun– hypocrites. 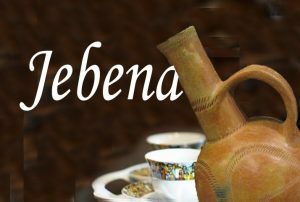 Munafiqun is one of the 40 words; kelimat habeshia; Islam borrowed from Christian Abyssinia. I assure you that most Christian highlanders are very familiar with the concept since our Lord Jesus Christ began his mission of salvation; medhane alem; by charging the Pharisees and the Sadducees of hypocrisy. 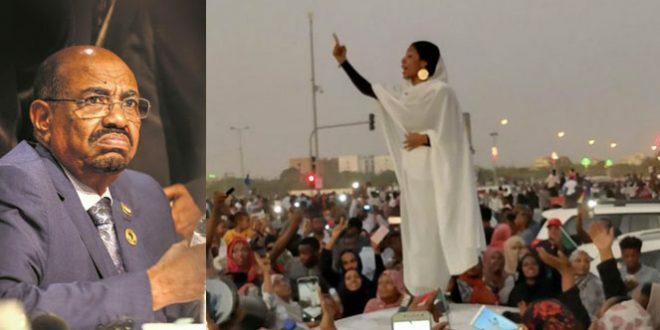 Although, as Ali has pointed out; with some degree of validity; that the core (perhaps, appearance or de facto segregation) of Eritrean politics is ethno-religious in nature, it has become taboo to talk about it. I agree that by not talking about it, we’re depriving ourselves from the counsel of yesterday. But, I seriously doubt if the divide is as bad as Ali is making it out to be. We’ve some cleaning up to do, but, Ali is prescribing a dagger where a scalpel could do. Ali is blowing out of proportion his observations that are based on anecdotal evidences. The presence of Eritreans in Sudan’s refugee camps is a continual source of shame for all of us. I came to the Sudan at the age of eight and I’m intimately aware what life is like in the Sudan, let alone in the refugee camps. I believe the victorious EPLF and the current regime missed so many opportunities to bring the country together to address the minor differences we have, but, I’m not a bit convinced there is a systematic bias or conspiracy against Muslims/lowlanders in Eritrea. But the way, the charge of bias and prejudice goes both ways. The pro PFDJ had to excuse himself, knowing full well that the argument was not going as he hoped it would go. Now Ali is right that the regime in Asmara does not enjoy popular support among Muslim Eritreans. For that matter, the EPLF; the organization that finally brought the Eritrean armed struggle to a conclusion with the liberation of Eritrea, never enjoyed popular support among Muslim Eritreans. The irony is also that the ELF in its final days was an overwhelmingly Christian and highland organization. The explanation, perhaps, lies in the size of the population, but, until we’ve a proper census, we will probably not know. It is no coincidence that the villages that have given us more than a thousand martyrs per village are in Hamasen and Akeleguzai- villages like Imba Derho, Adi Nefas and Degsa (To the best of my knowledge as of today. Ready to be corrected with new information.) Although, we should not be in the business of giving credits, I appreciate Ali as a person for acknowledging the fact that the highlanders have paid the lion’s share of the sacrifices made to liberate Eritrea. But, one thing is for sure; both the lowland and the highland are not monolithic. It is very hard to pigeonhole differences and divides along geographic and confessional lines. The diversity among these groups is so complex that it does not allow simple generalizations without risking exaggeration and over-simplification. If the make-up of the Diaspora opposition is any indication of the general trend, it would be unfair and wrong to classify Akeleguzai among the highland population that supports the regime. There are also parts of Sahel and Semhar where the PFDJ still enjoys a significant support among the people. The essence of our experience, however, should not be history but our imagination. We need to imagine a world beyond the limitation of our historical experience- a world beyond the highland-lowland, Muslim-Christian, Hamasen-Akleguzai-Seraye and Ali-gidir-Hirgigo divide. A world of justice, equality, prosperity and peace among ourselves and with our neighbors. The entity we call Eritrea is a reality- borne by the blood of our patriots; nothing more and nothing less- and we should jealously guard it against any kind of historical revisionism or intellectualism that tries to disfigure it or dint its identity. The foundation of our being should not be shaken. It is unwise and counterproductive; and what we’ve achieved so far should be the springboard that should catapult us to new heights. It is important that we celebrate what we have achieved so far and honor the sacrifices that made it possible. There is no human history that is free from human errors, excesses and our revolutionary history is no exception. Every Eritrean knows that the road from Adal to Asmara was rough and rocky that has witnessed so many twists, turns, wrong detours. But, we don’t question the road or why we built it in the first place. This is the stuff patriotism is made of. The intensity of our commitment and our willingness and readiness to sacrifice for it is a testimony to how sacrosanct the idea of Eritrea is to all of us. 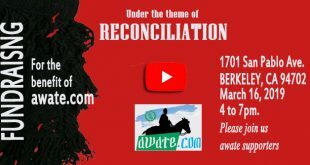 The “dreams of Awate” should cause us to celebrate our victories and the milestones we have made and his “nightmares” should remind us that we’ve some unfinished business to do. This is not the time to doubt or second-guess the very thing that make us who we are; Eritreans. We should encourage; within the parameters of reason, the reevaluation of certain norms or the reinterpretation of historical events, but, we can’t doubt the very essence of who we are. We’re a political community and whatever historical, mythological event that led to our being needs to be preserved. This is the bedrock of our political identity and the point of departure of our political life. It would be short-sighted and irresponsible to think or do otherwise. A good citizen is one who believes without seeing. The emotional attachment that sometimes defies reason is the correct litmus test of citizenship and the sense of belonging to a political community. Eritreans have transcended every imaginable divide to affirm their loyalty and allegiance to this entity we call Eritrea. Eritrea is a work-in-progress and the genius of our success will be in recognizing to contribute our little mite in perfecting and improving upon it. There is plenty of opportunity for responsible people to play a positive role in this endeavor. We’ve a strategic choice to make: to be part of the solution or part of the problem. 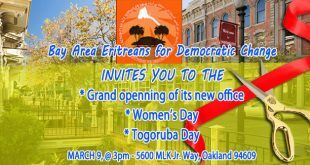 We can start finishing the unfinished business by refusing to be part of anything that does not mirror Eritrea’s diversity. We need to categorically reject any organization that does not look like Eritrea.